One of the biggest gripes we all have about our schooling is that we were never taught how to properly manage our finances. Whether your child’s school teaches this subject or not, you must. Parents are the first and last resource when it comes to their children learning about the right and wrong ways of managing personal finances, and that’s just as it should be. After all, they hear parents talking about money all the time. They hear you arguing about not having any or arguing about spending too much. They see you paying bills or pulling out your credit card or cash at stores and restaurants. And they most assuredly hear you tell them, “Not today,” when they ask you if they can get that favorite toy they just eyed as you walked down the department-store aisle. 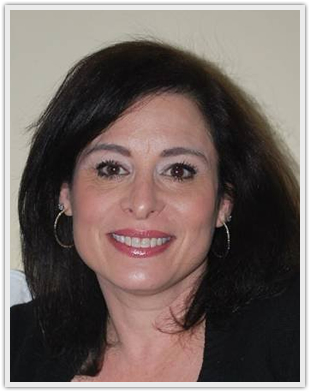 As a top teacher in New Jersey, Shari Duddy recommends that parents talk to their kids about money by using the following strategies. Talking with your kids about money is about more than just talking at them. We’ve all seen the old TV shows where Dad sits down with his child and teaches her about how money works. The only problem with this strategy is that it’s only half the battle, if that. It probably won’t surprise you to hear that your kids don’t want you to lecture them. They need you to have a dialogue with them. Start by asking what they already know about money. Engage them in discussion about how money works, and pose questions that will help them to figure out the best way to manage it. It can even help to make a game out of it by having them earn dollars with play money and buy what they need, learning along the way that when they run out of money, they cannot buy anything else until they legitimately earn more. 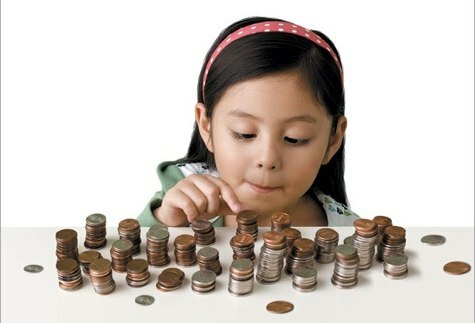 Giving children an allowance has always been an effective means of teaching them about money management. The only problem is that not all parents make kids earn that money. Here’s a scenario for you. You have twin boys, Timmy and Tommy. Naturally, you’re offering both boys the exact same amount of a cash allowance. You tell Timmy and Tommy that there are certain things they must do in order to earn their allowance: (1) They must keep their respective rooms relatively clean on a regular basis; and (2) Each boy must assist with one chore around the house, i.e. taking out the garbage, drying the dishes, setting the table, etc. Timmy adheres to both of these rules, while Tommy slacks off on his one chore, and his room often is left messy. You freely and happily hand over Timmy’s allowance, and when it comes to Tommy’s, what do you do? In a recent study that was conducted of parents in just such a scenario, nearly half of the parents gave Tommy his allowance too because they felt bad for him! Bad idea. Doing so does not teach motivation; it only teaches the boy who did adhere to the rules that Mom and Dad’s rules are made to be broken. Neither boy learned a thing about money management. Giving an allowance is an excellent way to teach kids about how to manage their finances when they finally have finances, but it must be done the right way. In a 2015 study, not even half of parents reported that they try to avoid talking with their children about money. But teaching kids about money is a vital part of parenting because it’s a vital lesson children should learn while they’re young. The more they learn about the proper way to manage money, the better off they’ll be when they’re grown and on their own. Too many young adults make crucial mistakes with money early on for which they end up paying for years to come. Getting in deep with credit card debt, taking out tens of thousands in student loans before sometimes without even finishing school, and buying a home before they’ve learned how to manage bills—these are all common mistakes young people make once they’re out on their own. This is why elementary school teachers in New Jersey like Shari Duddy suggest that parents talk with kids about money on a regular basis in order to teach them how to properly manage their finances when they finally leave the nest.